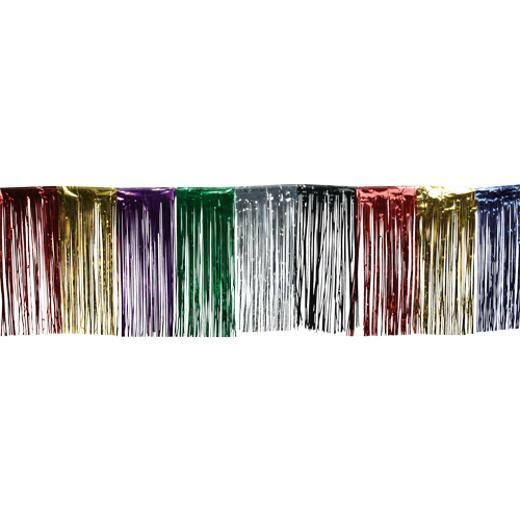 Guests will be pleased when you use these great metallic fringe table skirts to decorate your festive occasions. 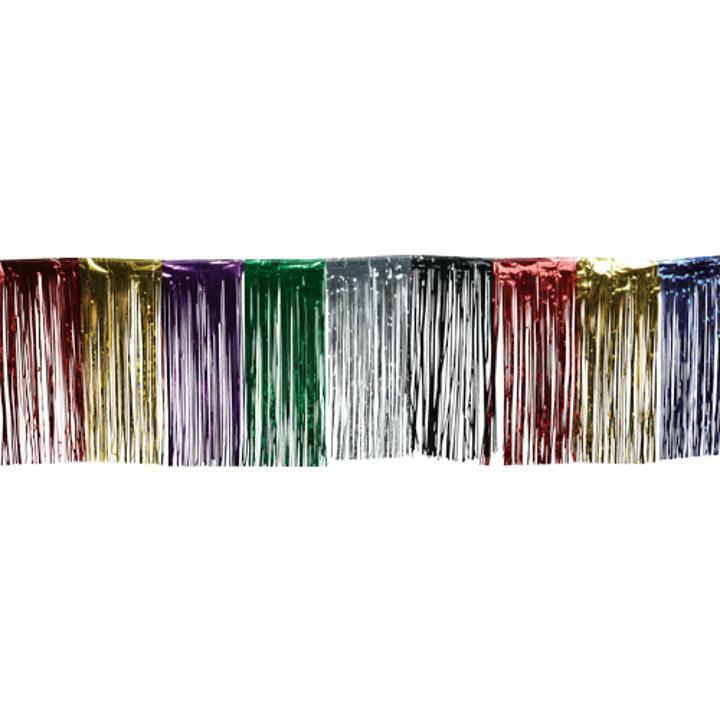 These fringe skirts are perfect for birthdays, weddings, baby showers, graduations, and more! Great addition to your party supplies list. L: 10.05 in. W: 1.45 in. H: 12.25 in.